Google updates its search results all the time. Just when you think you’ve mastered search engine optimization, they change how they optimize. The latest big algorithm change was dubbed Pigeon, and it drastically altered how Google Maps rankings work and how websites appear in the local search results. 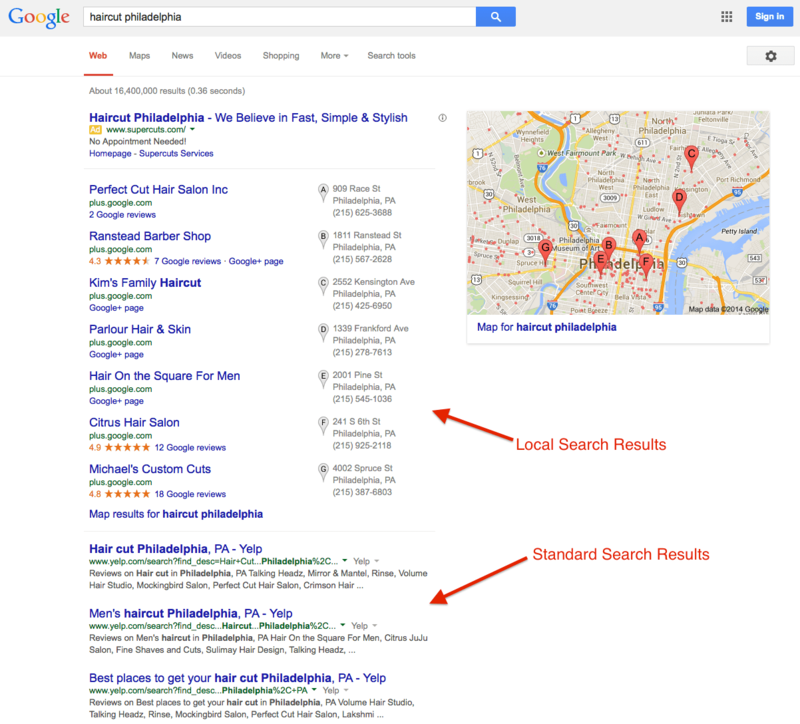 What are local search results and why do they matter? Take a look at the below search for a haircut in Philadelphia. But here’s the important thing coming out of Pigeon: These listings are not in any way related to the actual search engine optimization of your website. 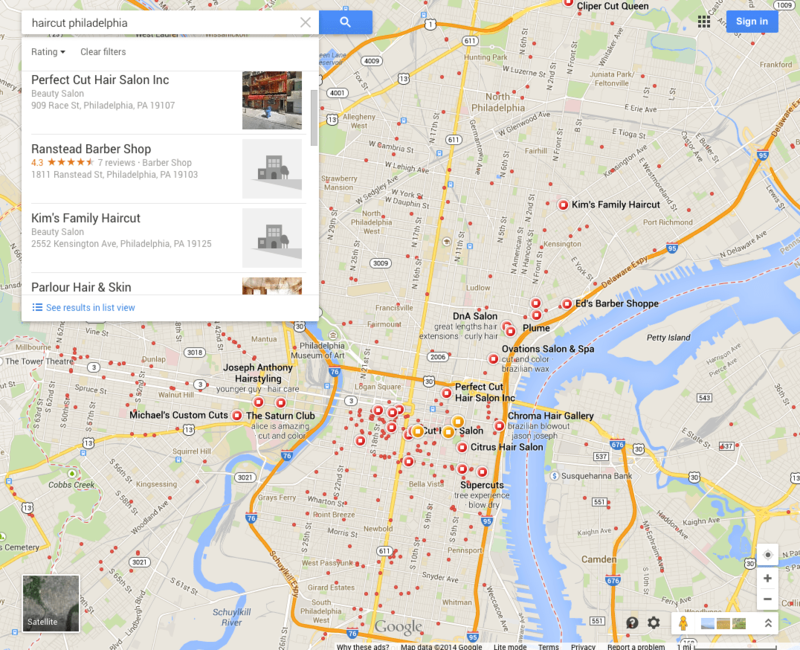 How are local search results factored? With Google’s latest change, the local search results are directly connected to Google Maps. In fact, you can even see a mini view of the map on our screenshot sample from earlier. 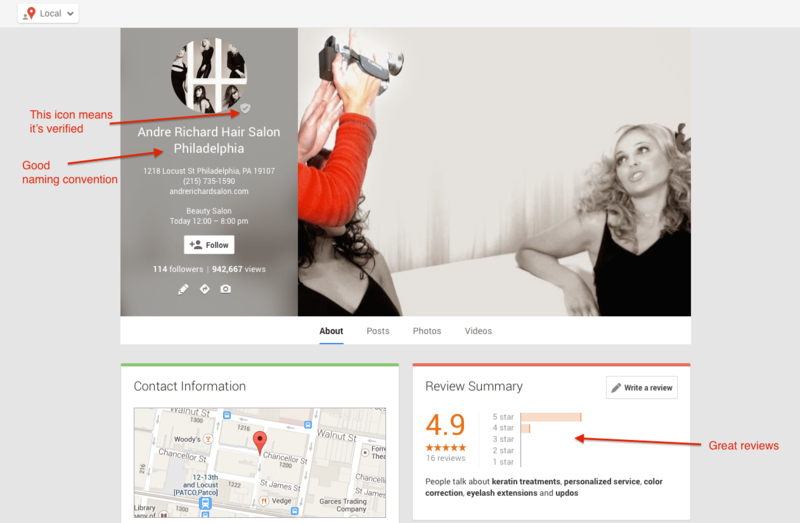 In that sample, if I click the link for “map for haircut philadelphia,” I get routed automatically to google.com/maps. And as you’ll see in the below screenshot, the list of locations in Google Maps matches identically the list in the local search results. That’s because they’re one in the same. The local search results are simply displaying the Map results. So how can you affect your rank? Here is the absolute key to good SEO: Great content. The best way to be optimized for search engines is to provide useful, relevant content to the person searching. This local piece is no different. BUT if you’re battling for rankings against competitors located near you, there are some tactics you can employ. Engage on the Google My Business page, writing posts about services you offer, locations you serve, deals you provide, etc. This is a big change for Google, and it has potential to seriously hurt your traffic. Failing to have a properly optimized Google My Business page could mean you don’t appear on the map, and if you don’t appear on the map, potential customers may not even know you exist. If you want help with this complicated and constantly evolving process, feel free to contact Arc Intermedia to discuss our Philadelphia search engine optimization efforts. And if you’d like to learn how your business can stand out as a big yellow dot within a sea or red on a Google Map (take a look at the Map screenshot one more time), we’d be happy to talk about search engine marketing (paid search).